Ironman Training Week 4 Recap – A LONG Run and a New Bike! Friday: 21 mile run from my old house in Pacific Beach along the coast up to my new house in Encinitas. I felt ok for most of this run but bonked big time during the last 2 miles. Asia and I ran to her house and I walked the 0.30 miles back to my house and it was pretty torturous. I thought I felt so crappy because I nutritioned wrong but turns out that I was getting sick. I do think that I didn’t nutrition right – I had 3 Gus and 1 scoop of Cytomax (400 calories) over the course of the 3 hour 30 minute run. Definitely not enough. Saturday: 2 hour easy bike ride down the coast. Felt pretty good on this ride and didn’t take in any fuel, as directed by Ken from FitStop who did my V02Max test. I’m trying to get my body to rely on fat stores instead of carbs. I felt good during the whole ride. Saturday afternoon I started to feel the onset of illness but tried to pretend like it wasn’t happening and still went out and partied for New Years. Sunday: Rest. Was planning another easy ride plus hopefully Ab Ripper but woke up in the middle of the night with a horrible sore throat. Rested all day. Although this week didn’t turn out as planned, there were definitely some highlights. Mike and I found a track at a local high school and did our Yasso 800s outdoors. Usually I do these on the treadmill and just push the incline to 1% to simulate being outdoors and then set the speed on the treadmill to dictate my pace. Doing these outdoors is much harder because you have to work at maintaining your pace the entire time. I was happy to find that I felt very fresh after a day off on Christmas plus just an easy 5 mile run on Monday. My splits for the 8 intervals were: 3:42, 3:46, 3:44, 3:47, 3:48, 3:45, 3:41. My goal was for them to all be under 3:50, which is my goal time for the marathon, and they were. In fact, my average time for the 800 intervals was 3:44, which if I could maintain for 2 more Yassos, would indicate that I can run a 3:44 marathon. Although it was mentally tough to do these intervals on the track, overall I felt really fresh and good while I ran them. Another highlight was the V02 Max test which I already blogged about. Although I felt pretty crappy for the last 2 miles, I was proud of myself for running 21 miles from my old house to my new house. It was a really fun run and Asia and I hadn’t seen each other in over a week so we had a lot to talk about as we ran. Our route also included a huge hill which we ran the entire way. At the end of the run I was pretty ruined and I even wondered how I would manage to run a marathon again, let alone a marathon after a 2.4 mile swim and a 112 mile bike. It reminded me that I need to work on my nutrition and also served as a good reminder that an Ironman isn’t something to take lightly. I’ll be able to do the marathon after the swim and bike in 6 months because I will have trained hard to get my body to a point that it can handle it. The biggest highlight of the week was shopping for my NEW BIKE! 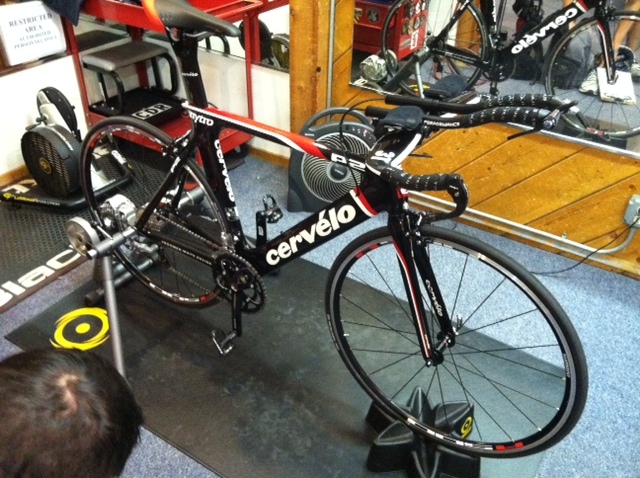 There will be a whole blog post on that coming soon, but I purchased a Cervelo P2 this week! Nutrition wise, this was another bad week. I was with family on Monday celebrating my birthday with a big lunch at PF Changs (plus free birthday dessert of course!) and Tuesday night Mike took me out to a wonderful Peruvian place in Encinitas for my birthday where we stuffed ourselves and drank amazing wine. I’ve been making my way through my abundance of Christmas candy (mmm See’s…) and polished off a burger and french fries after my 21 mile run and then ate an obscene amount of pizza 4 hours later on a double date with a good friend and her fiance. No wonder they say you don’t lose weight training for an Ironman… it’s hard not to justify eating whatever you want when you work out for nearly 4 hours. On that note however, I know that it’s time to get back on the wagon. I’m currently reading Chris McCormick’s book “I’m Here to Win” and just last night was reminded by the 2 time Kona Champion himself that you should eat healthy 90% of the time and splurge 10%. For the last month I’ve had it reversed, but starting this week I’ll be going back to my good habits and having lots of homemade meals full of yummy fruits and veggies. 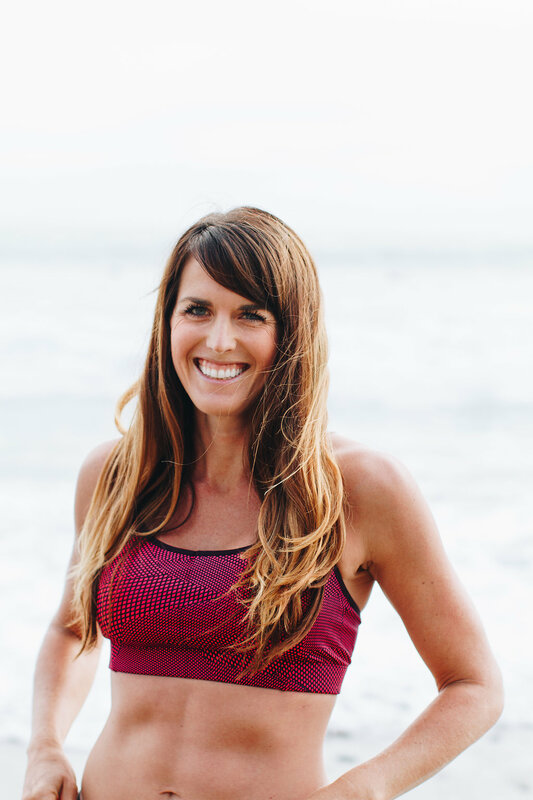 I’m not going to be under-eating by any means – just preparing wholesome food that will fuel my body and help me recover faster. 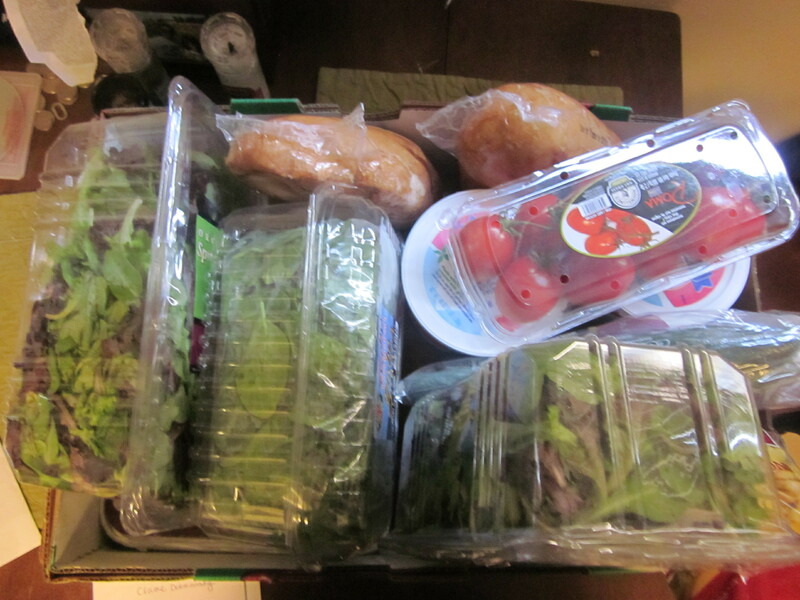 In fact, MIke just got back from Costco with a ton of fruits and veggies for fuel! We got a juicer for Christmas so we’ll be making lots of nutritious juices while we train too. Week 5 is already off to a rough start with this cold, but if I’ve learned anything about my body after training so hard for the last year, it’s that I need to listen to it and REST when I’m sick. So hopefully I’ll come back from this cold with fresh legs and ready to make some real progress. Luckily Week 5 is recovery week so I’m not missing any speed work this week. « My 2011 Fitness Journey! ahhh! new bike!!!!! so exciting, congratulations! and i’m scared of a juicer but so many people think it’s awesome…hmmm. A new Bike!!!!! So exciting!!! Yay for a new bike! I am ready “I’m Here to Win” too, how funny! Looks like you had a great week, hope week 5 is awesome.